Dry drawing equipment, wire rod preparation equipment, spoolers and coilers. Our dry drawing machines are suitable for low and high carbon products as well as stainless steel. 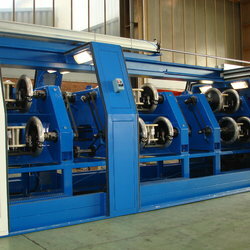 Wet drawing machines are available with 11 drafts up to 28 drafts. 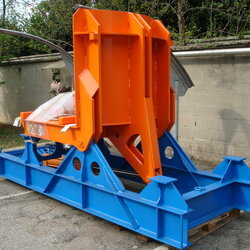 All our machines can be combined with spoolers, coilers, inverted coilers. Please see our drawing lines dedicated section for further information. WPM designs and builds a wide range of cabling and stranding machines for the production of steel wire ropes. 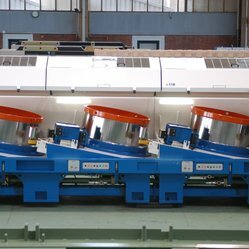 WPM Trading FZE is a company specialized in designing, manufacturing and trading equipment dedicated to the steel wire industry. WPM is the one stop shop for all your wire equipment needs. We offer technological consulting and manufacturing training on numerous wire products. WPM Trading is happy to inform that in the next weeks it will be able to offer in addition to its product range also wire drawing lubricants and dies. WPM has selected prime suppliers for innovative and high performance wire drawing dies designs and innovative wire drawing lubricants suitable for low, medium and high carbon applications to be distributed in the GCC area. Please check back with us in the next days for more details as we are preparing the new web pages with all the details on these products. With the experience package that we have we offer the best practical advise in equipment selection and can suggest improvements in your manufacturing practices. Auxiliary equipment, ancillary equipment and process support equipment. Every wire drawing mill needs all sorts of auxiliary equipment. Air compressors and much more.. Please see our auxiliary equipment dedicated section for further information. Our process lines include: patenting lines, annealing lines, hot-dip galvanizing lines, pickling lines, electro-plating lines. Single wire or multi wire. 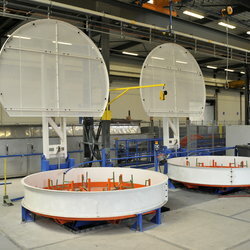 Please see our wire process lines dedicated section for further information. 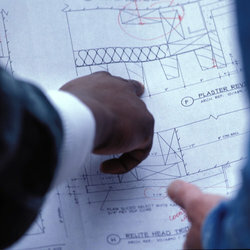 WPM trading has been a pioneer in the design and manufacturing of equipment for concrete reinforcing. 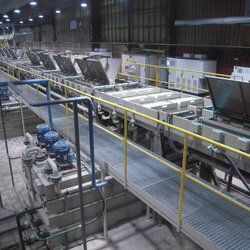 This includes PC strand lines, PC wire lines as well as multi block cold rolling lines. The design we have introduced on the twin block and triple block cold rolling lines have now become a standard in the industry. Our cold rolling lines can be combined with spoolers or coilers. WPM Trading is now hiring!